The planets are under attack. It's up to you to liberate the planets and battle alien cyborgs and the mother ships. 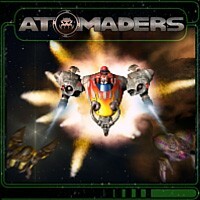 Challenge your skills by maneuvering through incoming fire and destroy hordes of invaders. Stunning graphics and sound allow you to feel the unconquerable power of your weaponry. query: INSERT INTO accesslog (title, path, url, hostname, uid, timestamp) values('Atomaders', 'node/210', '', '3.80.224.52', 0, 1556142980) in /home/surelion/public_html/drupal-4.6/includes/database.mysql.inc on line 66.